Backlinks have been around since the late 1990s, that's almost like since Larry Page and his Co-founder Sergey Brin build the core of Google's algorithm. Search engine treats links as a vote for popularity; It simply means the more websites that are linking to you the more importance search engine will associate to your website. The search engine crawlers use complex algorithms to carry out nuanced evaluations of web pages based on links pointing to websites. Link building itself is the process of acquiring or building quality relevant links to your website for better ranking on Search Engine Results Pages (SERPs). 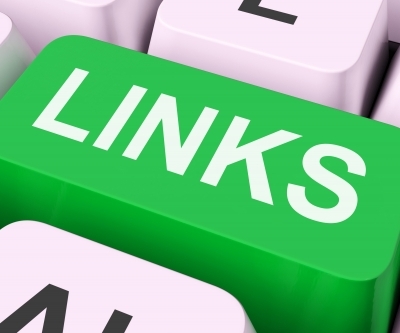 Links can also be earned when others are linking to your content. The links pointing to your web page is also known as inbound links. Use it to discover new web pages. Use to rank web pages on SERPs. Backlinks as a ranking factor enabled Google to dominate the search engine markets in 1990s. Google founder Larry Page also introduced PageRank, which Google used to gauge the quality of a web page based on the number of links pointing to a website. So how does backlinks affect your website ranking? When search engines crawl web pages, they extract the content of those web pages and index them (add them in their database) hence, they can decide which page can rank better than the other, they do not just look at the content of the page alone, they also consider the number of quality links pointing to that page from other websites, as well as numerous other on-page factors. This means the more high-quality websites that link to your website, the better your website will rank on SERPs. Google PageRank was invented as a metric for measuring backlinks, it became a good signal for determining the quality of a page and it was effective for the fact it was based upon the thinking that a link could be seen as a signal for trust and a vote for confidence. Google always update their algorithm in order to maintain the value of these metrics. Google's Penguin updates are one example, knowing what link building methods to use in order to stay within Google's rules will be discussed next. Writing a detailed interesting article on 'how to' on one topic or another will help you create a quality link. Articles with captivating images, explained with charts and graphs have the potential to get others to link to it. Social media can improve link building, it is important that you use this, some social media accounts actually bring quality links and traffic to your website. Also, keeping your social media up to date with valuable content is one of the social search ranking factors when it comes to the SEO algorithm. Participating in forums will give you opportunity to answer other people’s question and drop your link; you can actually establish yourself as an authority through this method. Writing a quality eBook as a bonus for your readers will give you an opportunity to link back to your website. A shareable eBook provides you with an opportunity to build high-quality backlinks. Here are some fundamental dos and don'ts as you proceed to build backlinks for your website. Content is king, therefore, create a quality content on your site that people will like to link to. Search for quality sites, contact their owners and ask them to drop your link in their site. Add your links to press releases and submit them to press release websites. Concentrate on getting links from highly trusted sources, i.e. universities or government websites. Link exchanges and link wheels; they have short value and can get you penalised. Paying for illegit links as they may come from a malicious site. Don't focus on quantity of links, rather focus on their quality. Offer ›› We have a white hat link building service, a backlink checker and SEO audit tool. Please get in touch to start link building for your website today. Rank it up!